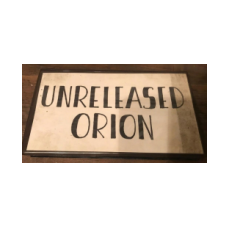 A selection of rare cassettes and studio reels featuring various unreleased and alternate Ellis/Orion audio and video recordings. Most of the items pictured are in the hands of private collectors. 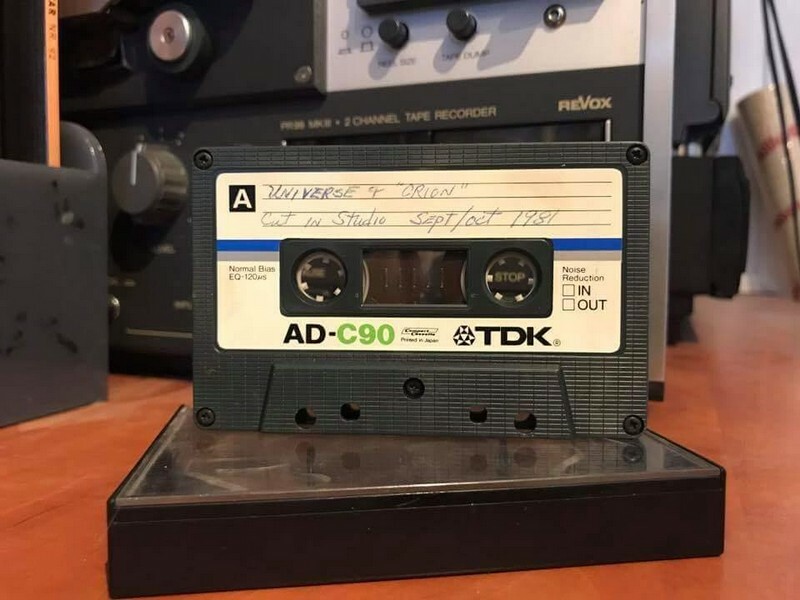 Original tape from a November 1979 demo session at Jam Records, Hapeville, Georgia. 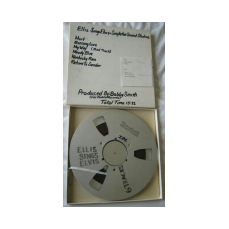 Contains never before heard outtakes and the unreleased song One Night Of Love. 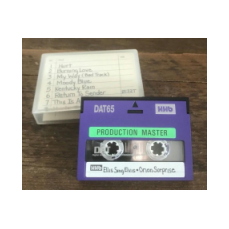 Songs included: Midnight Rendezvous; Old Mexico; Maybe Tomorrow; One Night Of Love. Features the unreleased SURPRISE album. Original reel is damaged making this the only existing master. 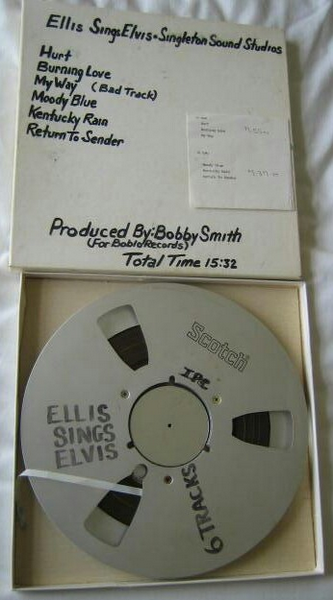 Also includes the BY REQUEST ELLIS SINGS ELVIS album. In the hands of a private collector. 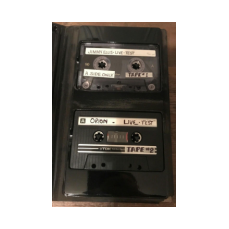 Cassette tape featuring studio outtakes from the album THE LEGEND CONTINUES. Contains: Treat Me Nice; That's The Thing About Love; Slow Hand; Feel Right; At This Moment; Nothing Short Of Dying; Since I Met You Baby; Tips Of My Fingers; It Only Hurts Me When I Cry; Love Is In The Air. 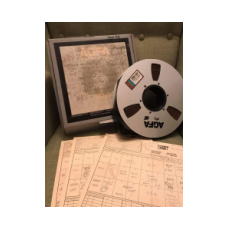 Southern Tracks rough demo tape. 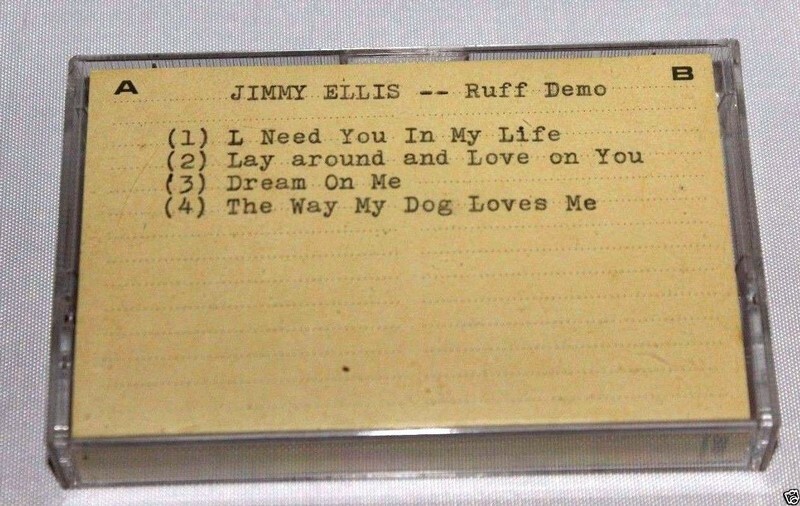 Features for songs: I Need You In My Life; Lay Around And Love On You; Dream On You; The Way My Dog Loves Me. 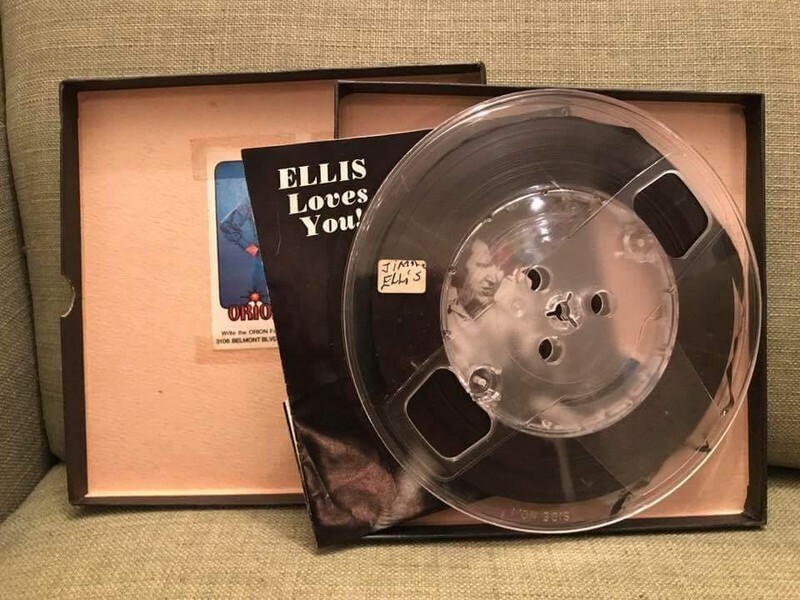 Studio master reel featuring the songs: I Do; Freeze Up and Still In Love With Billy. Recorded for the Tony Lawrence Management organisation. Songs include: Joy To The World; Little Town Of Bethlehem; The Closer He Gets....plus more. (All studio tracks). Stand By Me; Something About You Baby I Like; Memphis Sun; Blue Eyes Crying In The Rain; On The Road Again; Love Is In The Air; Solitaire....plus more. (All live recordings). Lonesome Angel (Alternate take); Movin' On; Out Of Reach; Introduction To The Other Side Of You; I'm Paying Now; Beggin' To You; Midnight Rendezvous (alternate take); Maybe Tomorrow (Possible alternate take); My Baby's Out Of Sight....and many others. (All studio recordings). 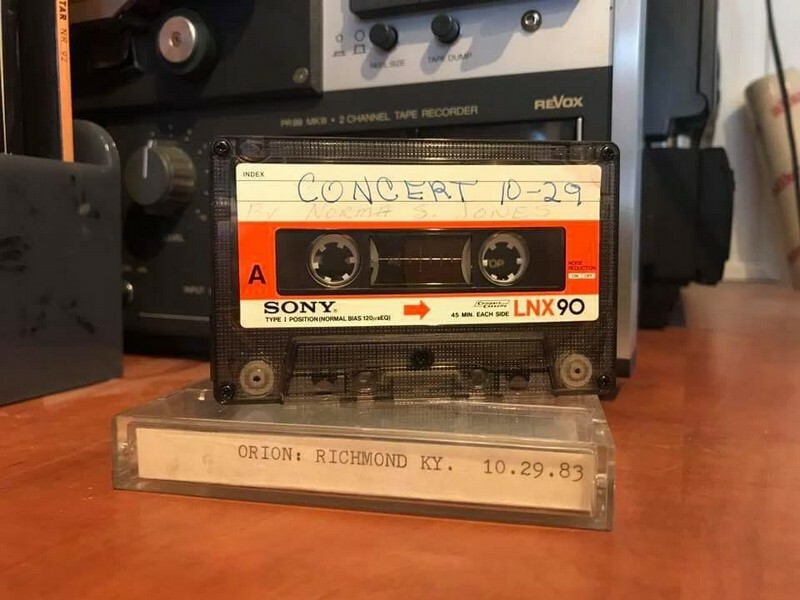 Concert recording from Lewisburg, Tennessee, 1982. Songs include: Women Know How To Carry On; Always On My Mind; On The Road Again; Midnight Rendezvous; Slow Hand; A Woman's Touch....and more. Also includes the X-Rated version of There You Go. 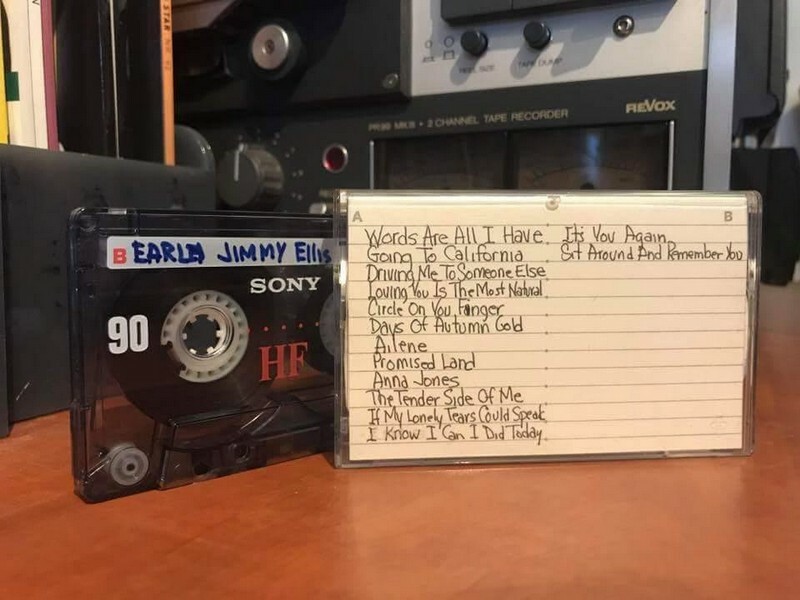 Jimmy Ellis' personal copy of concert cassette. Recorded 29th. October 1983 from the audience. Songs include: Women Know How To Carry On; Always On My Mind; How Can I Love Her So Much; A Woman's Touch; Slow Hand; A Lady Down On Love....and many others. 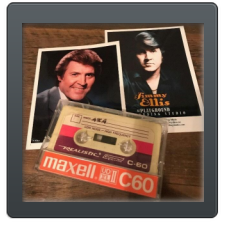 Early studio songs on a cassette tape direct from Jimmy's office. Contains: Words Are All I Have; Going To California (Extended version); Driving Me To Someone Else's Arms; Loving You Is The Most Natural Thing; Circle On Your Finger; Days Of Autumn Gold; Ailene; Promised Land; Anna Jones; The Tender Side Of Me; If My Lonely Tears Could Speak; I Know I Can, I Did Today; It's You Again (Alternate take); Sit Around And Remember You. 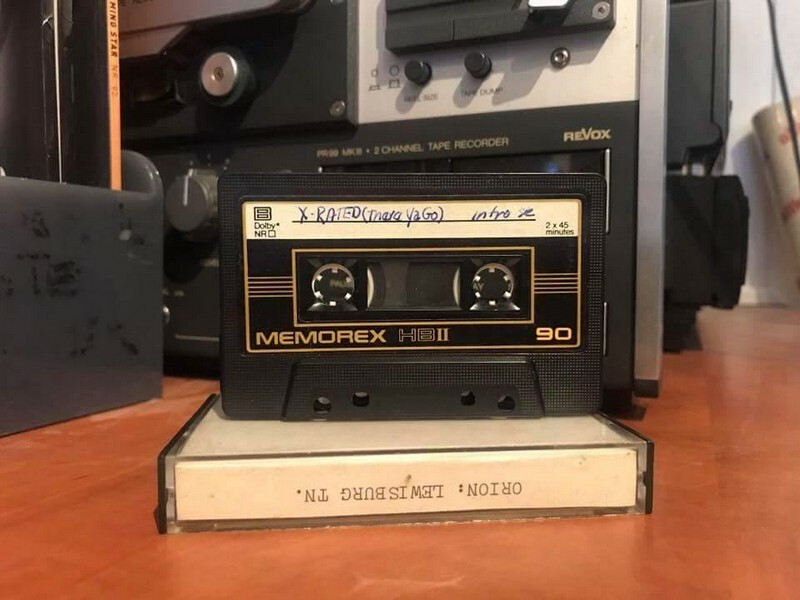 Master cassette tape from Stargem Studio. Features two songs: Saving Up My Pennies; Starting Over. 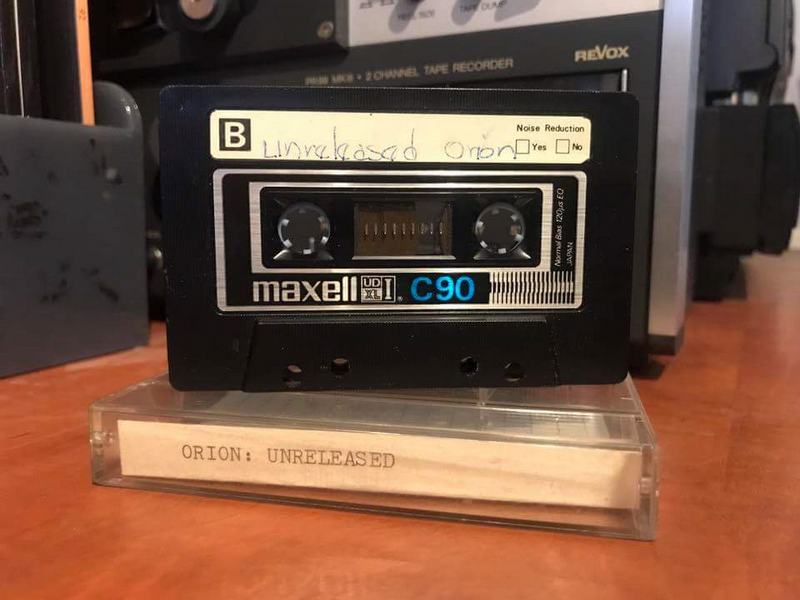 Original cassette tape that was present in the studio when Orion recorded the songs in September/October 1981. 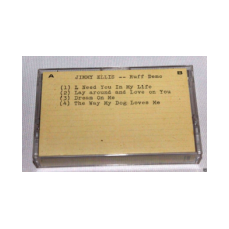 Recorded by drummer Matt Clark's father and remained in his posession until a few years ago. Features alternate takes; studio chat, count ins and all undubbed versions. 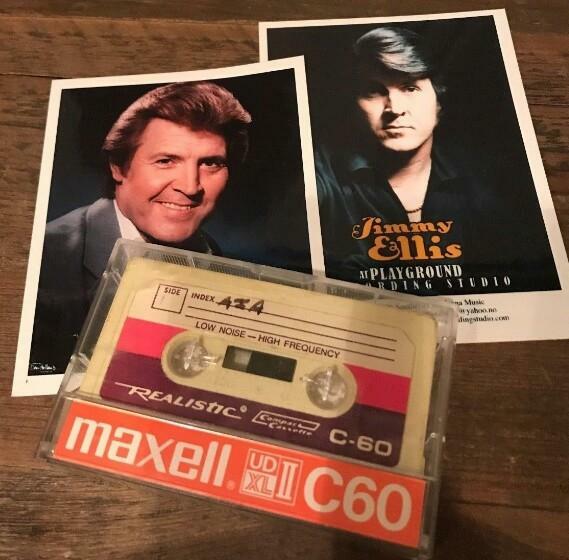 Tracks: Honky Tonk Heaven; Strangers Til' We Touch (Alternate take); This Is A Hold Up; Love Is In The Air; Two Loving Shadows; Whatever It Takes; Sing Me Like You Sing Your Songs; This Is A Hold Up Baby. 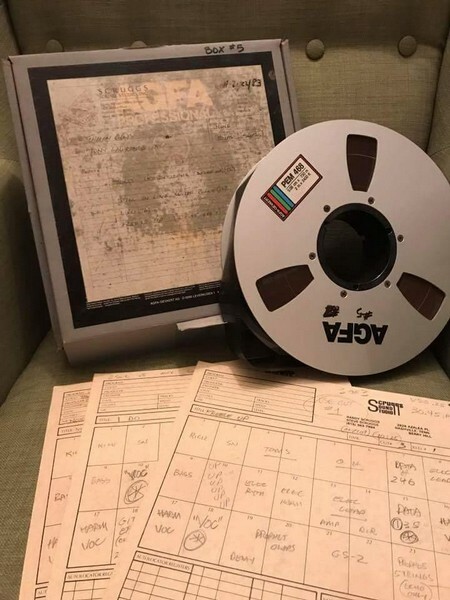 Open reel tape containing tracks recorded at Boblo studio. 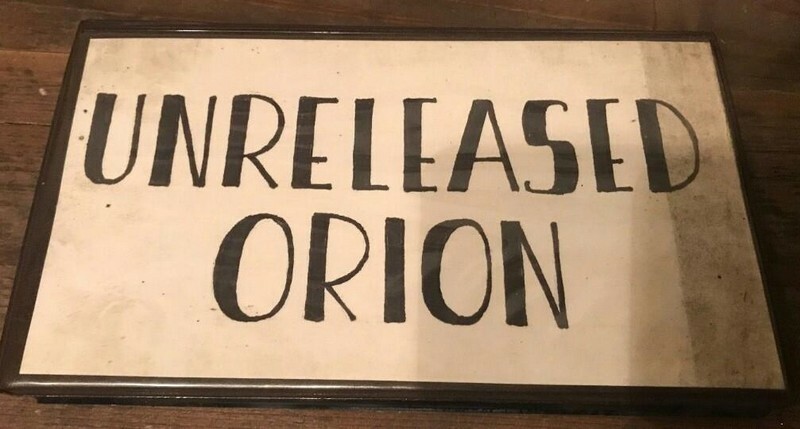 Possibly containing alternate recordings. Includes Tupelo Woman. 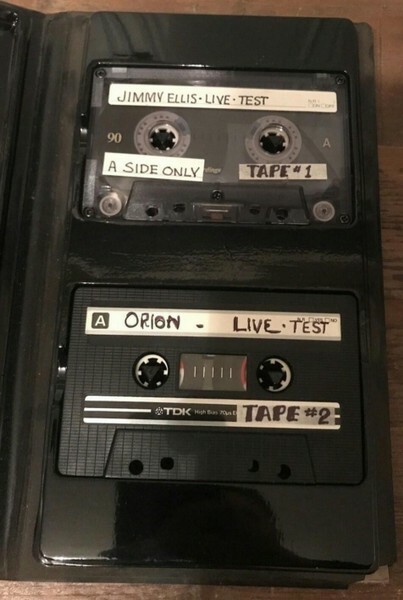 Television video master tape featuring footage of Orion in concert in Atlanta, 20th. May 1980. 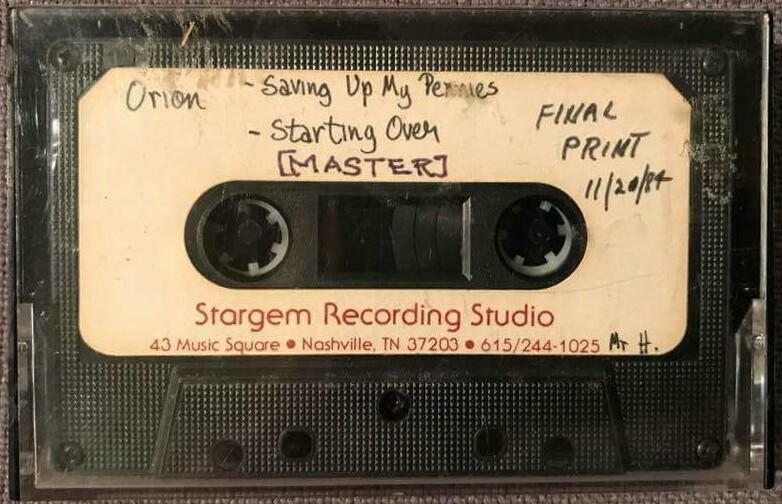 Studio master tape possibly for the cassette tape release Mr.E. 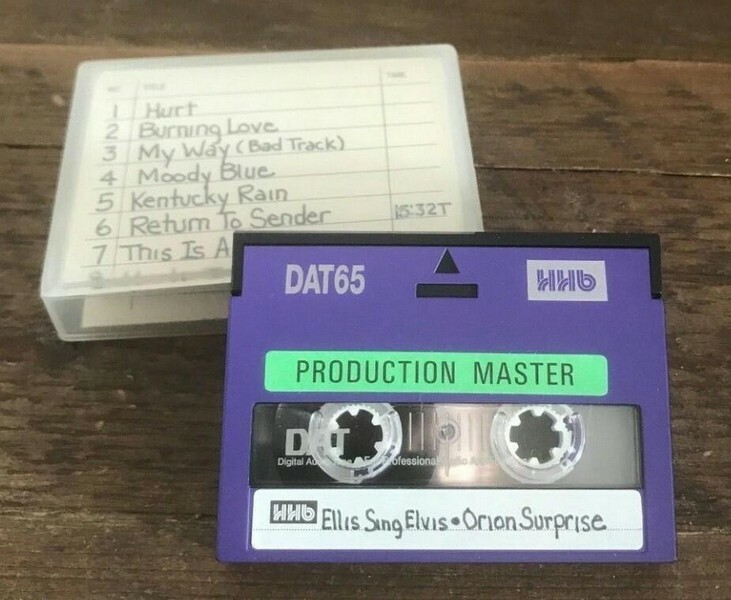 Contains: Hurt; Burning Love; My Way; Moody Blue; Kentucky Rain; Return To Sender.